The natural inclination for chickens to peck can be problematic if it turns aggressive and harmful to the flock. Dark scars on wattles and combs are signs that a chicken has been pecked. Chickens naturally love to peck everything. Unfortunately, that includes each other. Chickens will often peck at each other until blood is drawn. This can lead to cannibalism, where chickens peck intentionally to draw blood from other chickens. Early signs of a pecking problem include continuous toe picking in chicks, pecking at maturing feathers in growing birds or head and vent pecking in older birds. It’s often difficult to determine the difference between random pecking and pecking that will lead to cannibalism and possibly the introduction of disease. It’s essential to pay close attention to the entire flock. Normal flock behavior does include the establishment of a “pecking” order. 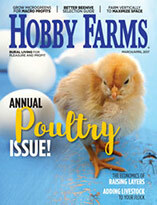 Problematic pecking can spread as a harmful habit throughout your flock. Although pecking usually starts as an innocent event in chickens of all types and ages, it can quickly escalate into a more serious situation if timely intervention and management changes are not implemented before it leads to cannibalism. If excessive pecking or cannibalism becomes a problem within your flock, there are several simple approaches to reduce it. 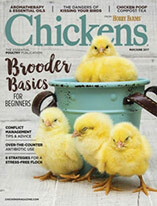 The old saying “birds of a feather flock together” has validity when it comes to chickens. The best way to avoid aggressive behavior is to keep a flock that is uniform in breed, age, size and health status. Any chicken that deviates from “normal” could become a victim of aggression. Be sure to separate any sick or weak birds as soon as possible to minimize the pecking instinct that can lead to cannibalism. 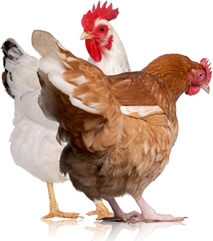 Adequate space for each chicken, as well as constant access to food and water, is essential to help eliminate excessive pecking. It might also be necessary to provide a better environment for pecking-prone birds by keeping the temperature constant and comfortable (not too hot) and by minimizing exposure to bright lights. Using a red light bulb in an enclosed brooder can reduce pecking behavior. If excessive pecking still occurs after these changes are implemented, check your birds for external parasites, which can also spur excessive pecking. Nutritional deficiencies of salt and sulfur can also instigate pecking by increasing the appetite for blood, which contains both of these nutrients. Historically, chickens’ beaks have been clipped to deter cannibalism. This method isn’t recommended for small flocks, where preventative methods can be successful. About the Authors: Dr. Jose A. Linares, DVM, ACPV, is the Resident Director of the Texas Veterinary Medical Diagnostic Laboratory, Poultry Diagnostic Laboratory in Gonzales, TX. Dr. John El-Attrache, PhD, is an Assistant Professor in the Department of Veterinary Pathobiology in the College of Veterinary Medicine at Texas A&M University.